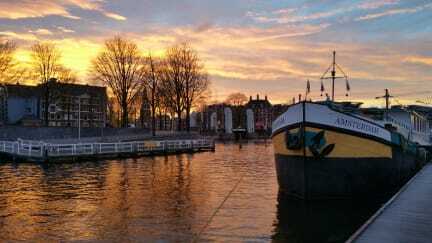 Its was my third time in AMS and this place was for far the best experience. Very well located, close to the Central station and a bit away from the crazy crowd. Chill atmosphere, staff were helpful and very nice, far breakfast and clean bedroom and toiletes! Will def be back! 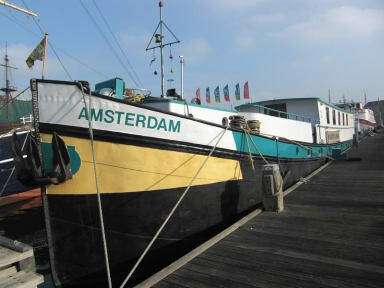 Hotelboat Amsterdam is just great! Near everything you need (including Amsterdam Central Station and the city centre), the hotel's got a great welcoming atmosphere! The crew, specially Noëmy, will do their best so that you can enjoy an amazing time at the city and ease your life! Even though Hostel World says the check-in is only possible until 11pm, they found a way to let me in after midnight, which is when my delayed train got to the city. Cabins are tiny, but cozy and offers a private basin! Just amazing! ! I'm anxious to go back there. Everything was perfect. Os quartos são pequenos, mas se usar só para dormir, é ótimo. Ótima localização e custo beneficio! Muito legal e diferente ficar em um barco! Really nice place to stay. The staff was really helpful, clean rooms, good shower. O barco fica perto da estação central de Amsterdam em um cais calmo, perto do NEMO. Os quartos e banheiros são bem compactos (afinal de contas é um barco) e estavam bem limpo.